Even My Ears Are Smiling is a collection of poetry by Michael Rosen. It’s a mixture of some of his old classics and some brand new poems, and it runs to a sizeable collection of some eighty-odd works. Michael Rosen is a hugely influential figure in children’s literature. He is an active campaigner for education and (often against) the education system. He is regularly to be heard on the radio and he presents BBC Radio 4’s Word of Mouth. His career writing for children spans five decades and few writers can be said to be so well-regarded – if there were a canon of children’s literature, he’d be in it. Rosen’s strength lies in his ability to create poems that sound as though children themselves have written them. As a means of interesting children in words and inspiring them to write their own poetry these poems are unparalleled. Reading a Michael Rosen poem you feel, whilst admiring his skill, that you too might be able to do it. Many also use repetitive rhyme in very appealing ways, such as ‘I’m a dog, I’m a hound, I run round and round, I jump and I bound, I snuffle in the ground”. 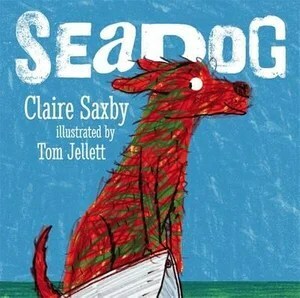 Thoroughly enjoyable to read and a great way of teaching young children what rhymes are. Many of the poems are descriptions of moments in family life, just like this one, and most are entertaining and well-observed. ‘Attacked by a Banana’, ‘Don’t Mum’, ‘Where are His Glasses?’ and ‘Strawberry Jam’ are particularly effective. Although some of the poems are mere word-play some of the best are more complex in their approach. ‘Cooking Cakes’ for example, is a hugely comic monologue supposing that a budding pastry-cook has used their initiative. and, amongst the non-rhyming poems, ‘Today’ is a thought-provoking commentary on the day a lost dog comes home. no one gave a speech. Some of the poems are much weaker, however. There are some obscure ones that don’t really make sense, like ‘The Demon Manchanda’, and a few like ‘Three Rules’ and ‘Pirate Jim and Pirate Joe’ where the raw nature of Rosen’s style (to my mind at least) goes too far and becomes meaningless. “Don’t throw stones / you’ll hurt my mum. / Don’t jump out the window / you’ll hurt your bum”. Kids love silliness but poems need more than just the word ‘bum’ to commend them. Equally the quality of the nonsense in ‘Hairy Tales and Nursery Crimes’ is varied; some of the twisted versions with alternative words are very funny but others fall a bit flat. Overall this is a really good place to start if introducing young children to poetry. Lively, engaging, entertaing, accessible and with some perfectt examples of how poetry for children should be, it also comes with an audio CD of the poems, read by Michael Rosen himself, which is great for car journeys.